Welcome to ScoreYourRace.com! We are a computerized sports timing service for all types of scored events. We offer timing for any race... running, biking, adventure races, mud runs, trail races, cross country and track meets are just some of the events we have, and are prepared to, score. We have the capacity to handle any size event from a small 5K or 10K Road Race to large Half Marathons, Marathons, Ultra Marathon and beyond.... and we are fully equipped to deal with inclement weather, rough or muddy terrain, staggered starts, wave starts, multiple distances, or any unique characteristic your event requires. We use our state-of-the-art chip timing system for our chip timed events but also offer bar code service for race timing of smaller races. For more information about our timing systems please click here. Our team has over fifteen years experience timing events in the New York tri-state area including Staten Island, Brooklyn, Queens, the Bronx, Manhattan, Long Island, New Jersey, Pennsylvania, Westchester and New York State and beyond. Rich Re, our founder, has timed all NYC PSAL high school, cross country, and track and field meets since 2001, in addition to his experience scoring the many road races, adventure runs, trail races and obstacle course races over that period. Rich and our team of timing veterans guarantee your event will be timed swiftly and accurately. We can also offer a full range of event management services, beyond scoring your event. 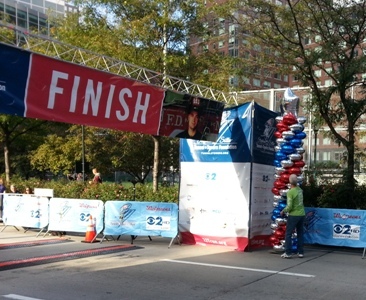 We can provide online registration, pre-race or race day registration, course layout, post race refreshments and many other services to ensure your event will go just as planned. Contact us for more information, or a quote. We look forward to working with you.